Baby teeth require just as much care as adult teeth because they are a part of the child’s early physical development; therefore, it is important for parents to learn how to prevent tooth decay in toddlers while also encouraging them to practice good personal oral health habits. Toddlers are like sponges in the sense that they absorb and imitate everything they see, which is why it is necessary to impart dental hygiene techniques and practices to them as early as possible. Parents can help prevent tooth decay in their toddlers by teaching them personal dental healthcare tactics from a young age. The first baby teeth will usually break through the gums within the first six months of your child’s life, and from that point on until they are old enough to independently take care of their own teeth, it is your responsibility to ensure your child’s dental health. Start by very gently brushing their first baby tooth with a soft bristle baby toothbrush and water twice a day, once in the morning and once before bedtime. If their second tooth comes in next to the first one leaving no space, it is safe to tenderly floss between the teeth before the bedtime brushing session to keep the gums free of stuck food particles. Your child’s first dentist visit should take place soon after the first teeth erupt (start showing). Regular dental check-ups can help set a positive practice in motion and get your child used to visiting the dentist so that the experience is less stressful as they grow older. This will also make it easier for the dentist to catch any potential problems sooner rather than later. This goes much further than just monitoring what your child eats; it also entails how much and when your child eats certain foods. You may be tempted to soothe their teething pain by giving them sugar water or warm milk to help them fall asleep at night. Resist the urge. The sugar water will contribute to rotting their teeth. Giving your child milk or any form of sustenance other than water before bed is a bad idea. The particles from the food or liquid will stay in their mouth all night long and create a prime breeding ground for bacteria that can lead to tooth decay and cavities. This warning also goes for sugary drinks like juice and cola. When in doubt, stick to fluoride-rich water instead. On that note, try to avoid using medicines that are full of added sugar for flavouring and opt for sugar-free alternatives instead. It is recommended that children under two years old brush their teeth with fluoridated toothpaste but only use an amount the size of a grain of rice. Once they learn not to swallow the toothpaste, you can start using an amount the size of a pea. Fluoride in conjunction with the child’s saliva works throughout the day to help stop bacteria from forming which staves off harmful acids that cause cavities. You can also talk to your child’s dentist about using sealants to protect their back molars, which are the most likely to develop cavities over time. This will prevent any food particles from permanently lodging on the teeth. 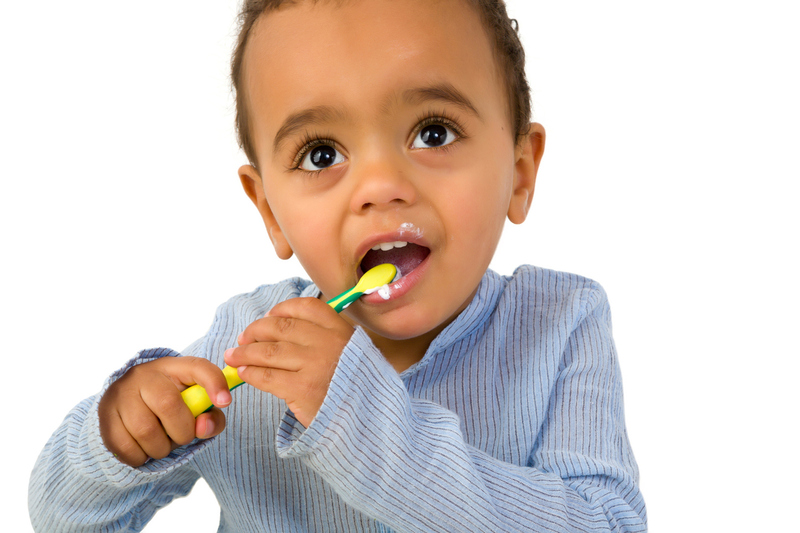 If your child’s baby teeth do start decaying, there are toddler tooth decay treatment options available. Princeview Dental Group is a dental clinic for both children and adults, located in Etobicoke. We perform in all kinds of routine and emergency tooth treatments for toddlers and adults. To book a consultation, call us at (416) 231-4562.